I recently learned about a fabulous product called "Creative Paperclay®". I have worked with other brands of air drying clays made for children before. However, if f you like to work with clay you too will love this new to me clay. 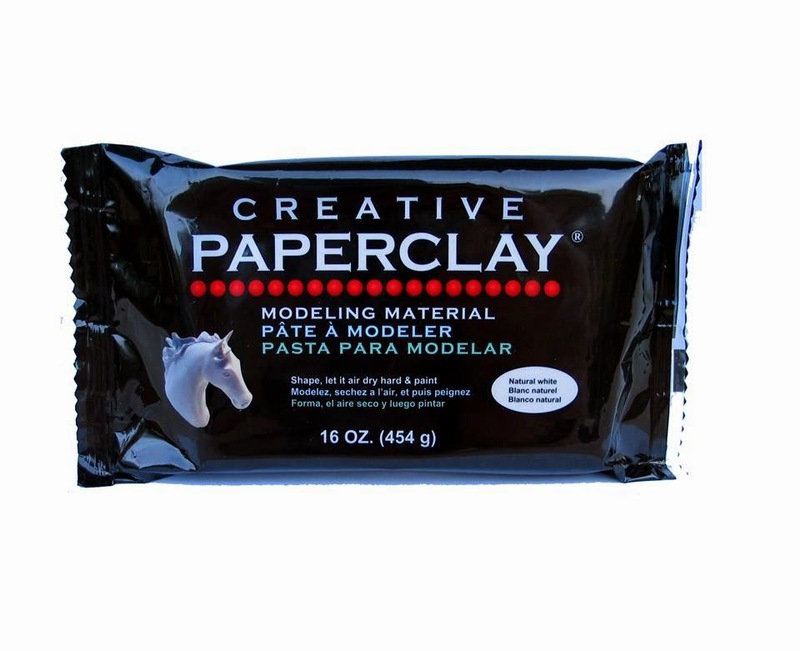 For starters the Creative Paperclay® modelling material is more moist when you take it out of the package and feels smoother than other brands. I found it moulded very well into my silicone moulds (By Mod Podge and Martha Stewart) and came out of the moulds easily if I let them to dry in the mould for one or two hours, but not over night. It is not recommended to leave air drying clay or Creative Paperclay® modelling material in untreated silicone moulds over night as some intricate patterns may make it difficult to remove the dried project without damaging your moulds. 1. Take some Creative Paperclay® modeling material and knead it lightly and roll into a skinny sausage to put into the frame mould. Roll another small piece of Creative Paperclay® modeling material into a ball and push into the bow frame. 2. After a couple of hours (Depending on your climate) push on the mould to release the ornament carefully and let dry over night maybe even 24 hours. 3. 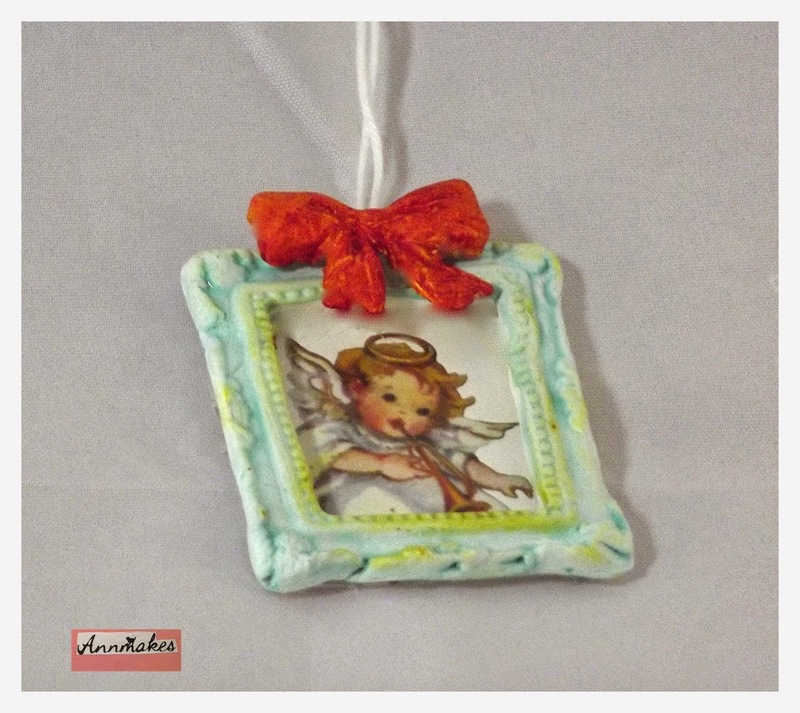 Once the ornament pieces are dry, colour them with some glazes, inks, or paints. Let the colour dry. 4. Trim the image if needed. Using some hot glue, adhere the bow to the frame. Adhere the string to the image at the top on the front. 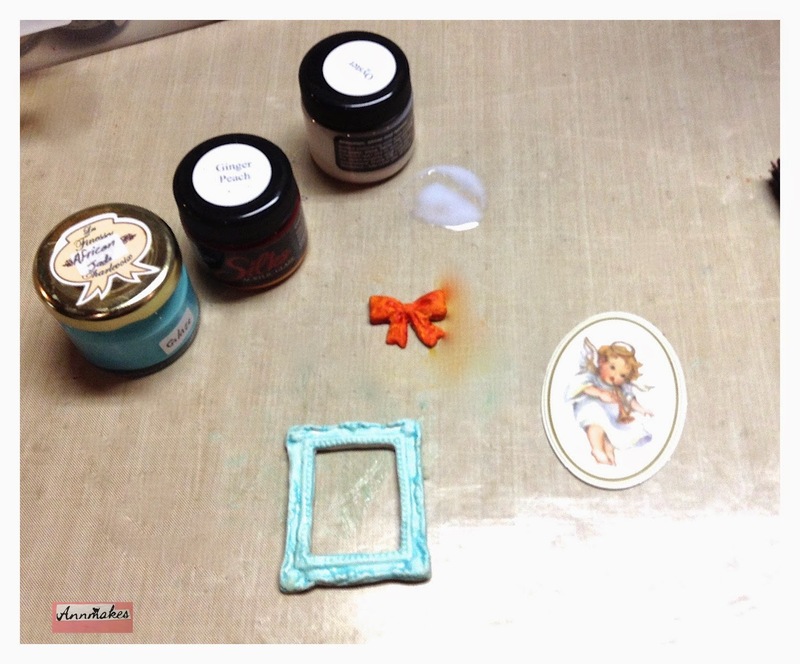 Glue the frame over the image making sure the string part stays hidden. Let dry. 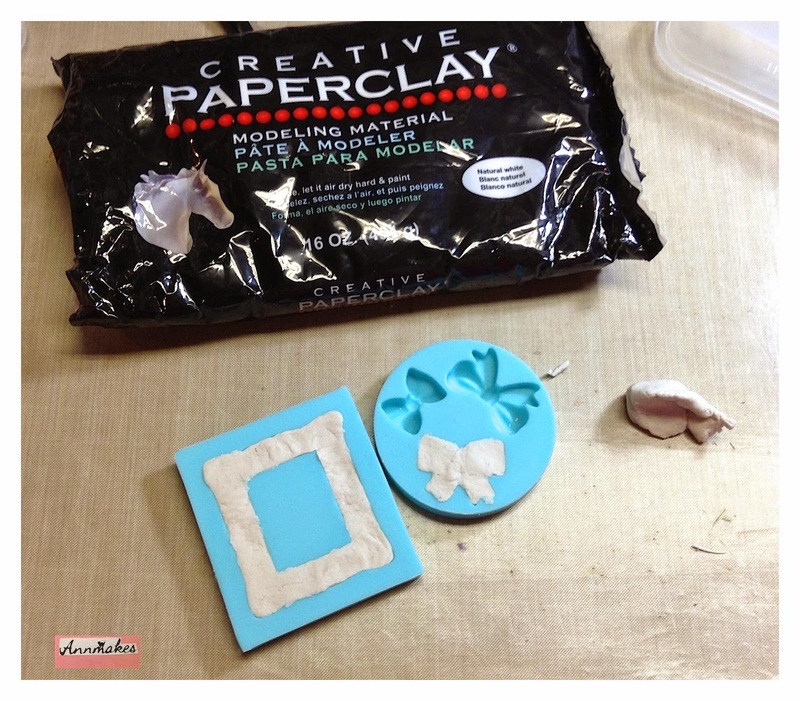 I hope that you enjoyed this tutorial, and please visit the Creative Paperclay® website here. 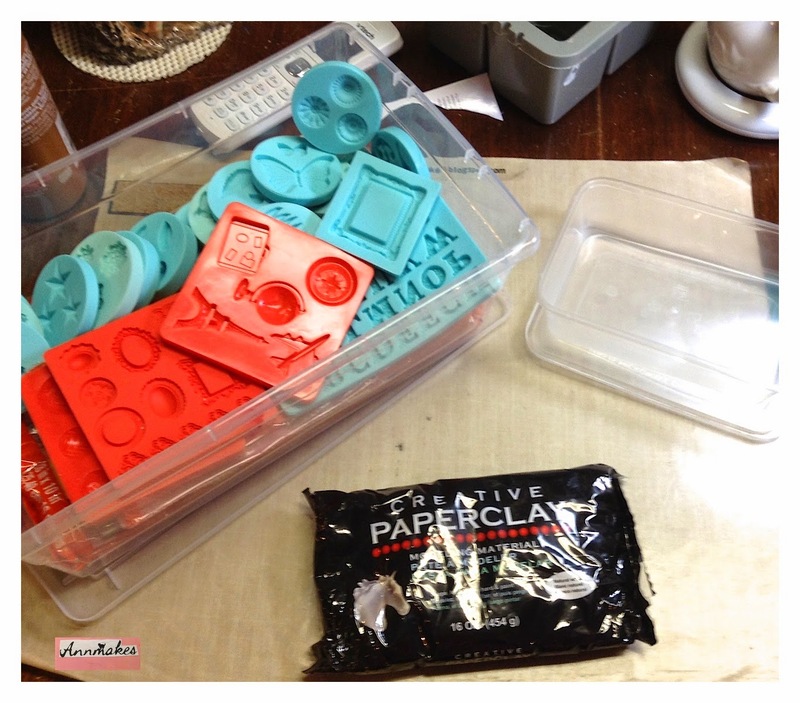 For more inspiration check out the Creative Paperclay® blog. The product is available in stores, online at the Creative Paperclay® online store, and other online shops.